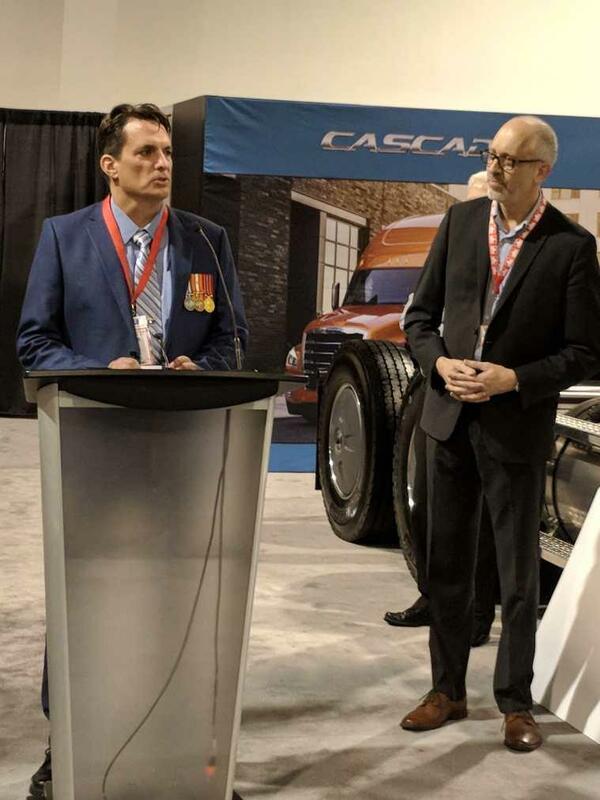 KAG is proud to announce that Doug McGowan of our KAG Canada’s Westcan Bulk Transport has been named the 2018 Highway Star of the Year during the Truck World trade show in Toronto, Canada. The prestigious award recognizes Canada’s top truck driver or owner-operator. McGowan’s career began in the Canadian Army, where he was introduced to ice roads and chains north of the Arctic Circle. He served in the Middle East and drove everything from armored vehicles to four-wheel military pattern trucks. After retiring from the military, a career in trucking was an ideal fit. Click here for more on Doug’s story and for what truly set Doug apart in the selection process.